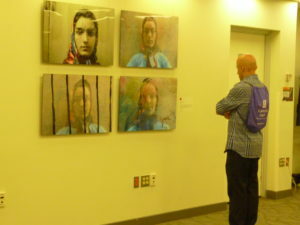 Artwork produced as part of the OMID therapeutic art program, including the collection of photos shown above, continues to be exhibited around the globe. 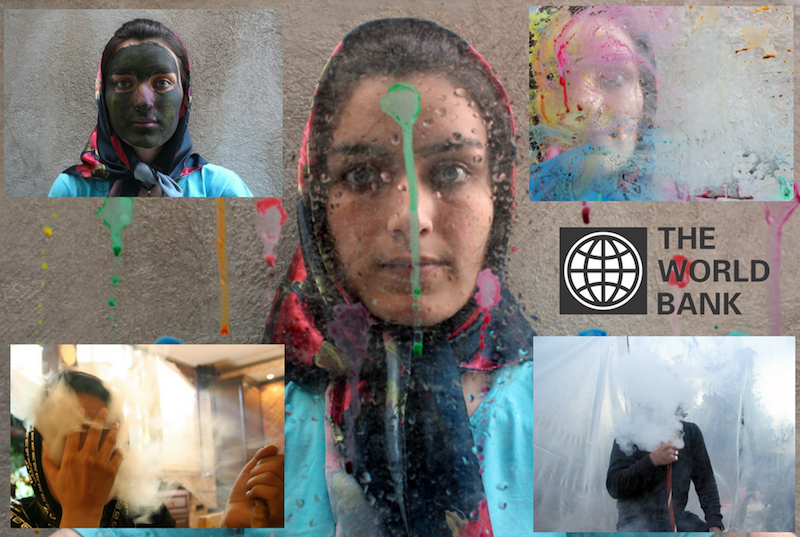 We are honored that The World Bank chose OMID to be a part of the traveling art exhibition “1 in 3”. This time we are delighted to announce that The World Bank is planning the opening of the art exhibition for 1 in 3 at the UN Women Caribbean HQ on December 1, 2017 in Barbados! This joint exhibition One in Three was launched in 2014 and since, it has travelled to multiple locations around the world. This is its first stop in the Caribbean. 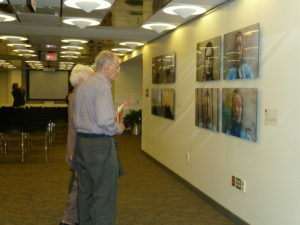 The photographs by OMID girls, which were first exhibited at the Washington, DC World Bank Headquarters (pictured below), have been exhibited in Dakar, Senegal; Bonn, Germany; and Indiana, United States. The photographs have also travelled to other cities in the United States, South America and Europe. The title, “1 in 3” is a stark reminder that one in three women worldwide is a victim of gender-based violence. 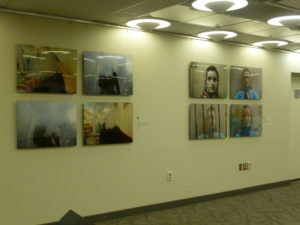 A group of photographs taken by the young women at OMID express their anger and hurt at their circumstances before coming to OMID is part of the World Bank art exhibition. OMID’s three-year therapeutic program uses art as one way for these young women to express and work through their emotions and become whole. The partnership with UN Women, the Spanish NGO Inter-arts and the EU, is part of the Art Program’s effort to use art to educate the general public about key development topics. The Ministers for Culture, Education and Social Care of Barbados are expected among the notable guests at the exhibition’s ceremony.